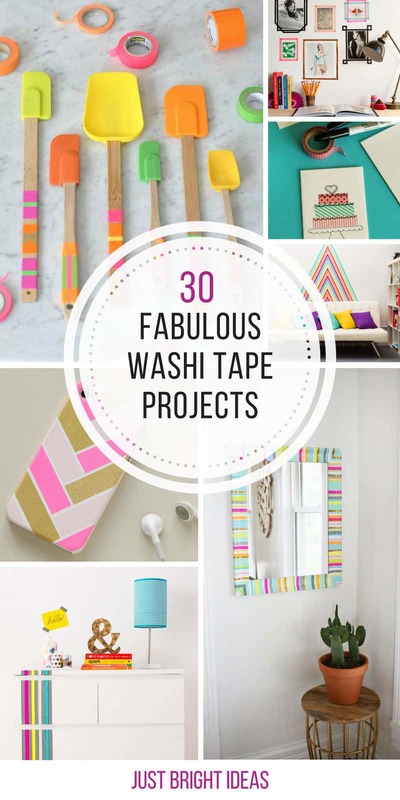 We love Washi Tape projects and if you do too you are going to be super excited about our Washi Tape Crafts collection! We have a huge selection of gorgeous ideas to inspire you so be sure to scroll all the way down the page to see them all, and don’t forget to pin your favourites! ==> Check out their bargain bin! 30. 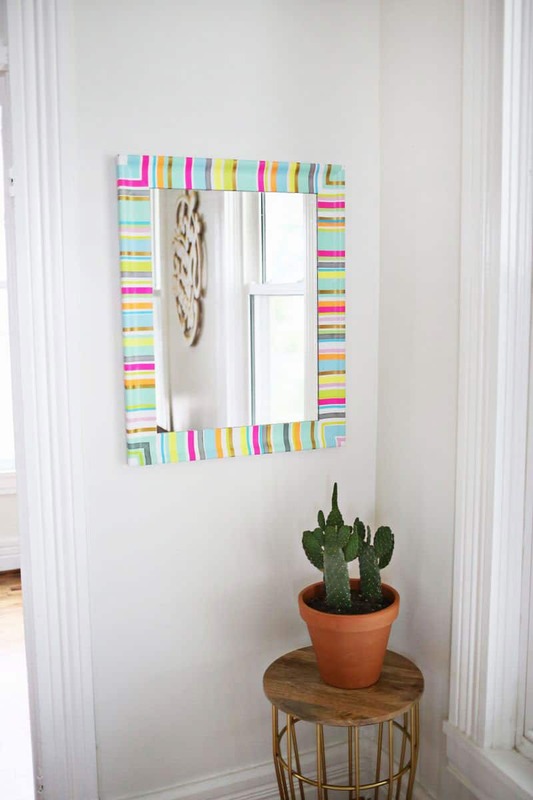 Makeover a boring mirror frame with your favourite Washi Tape. 29. 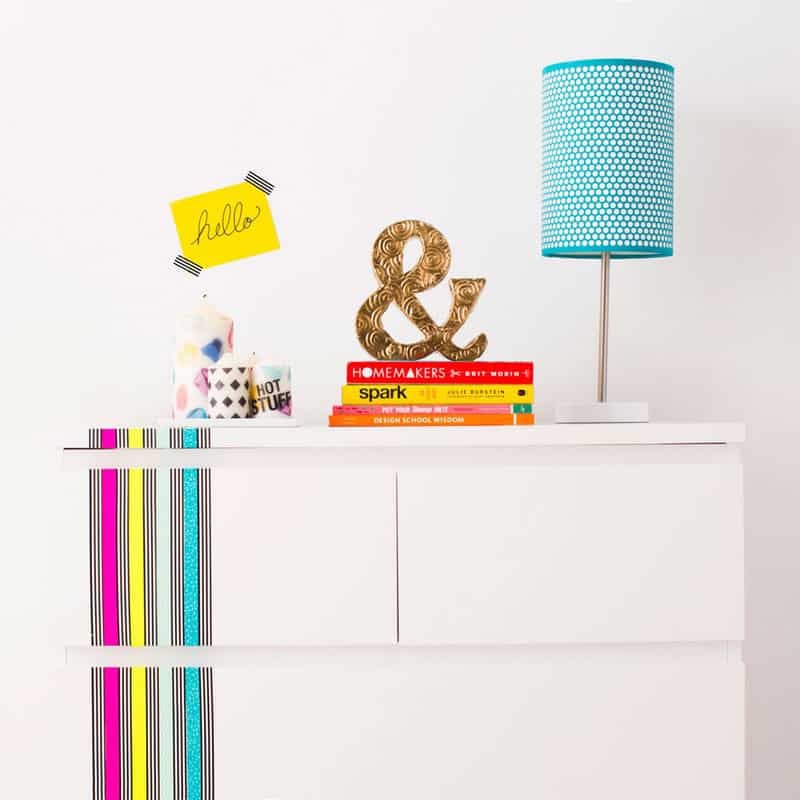 Revamp your white furniture and make it bright and colourful. 28. 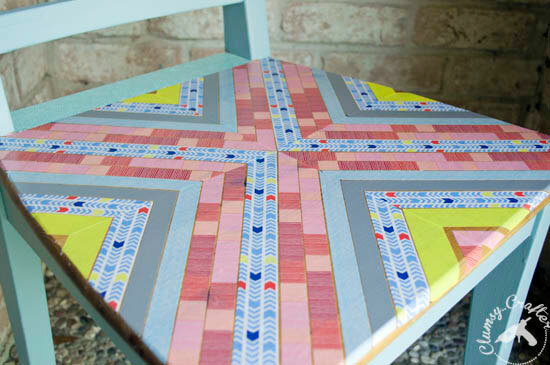 Give an old wooden chair a new lease of life! ==> repurpose wooden chairs collection! 27. 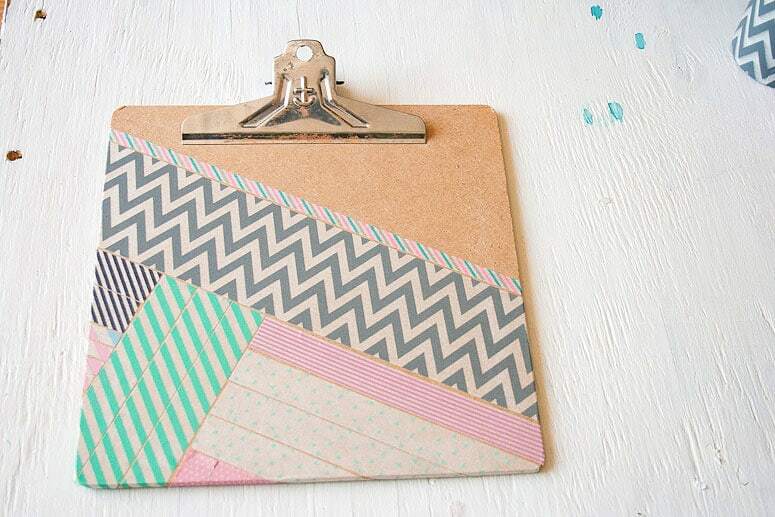 Brighten up your clipboard so you want to check things off your to do list! 26. 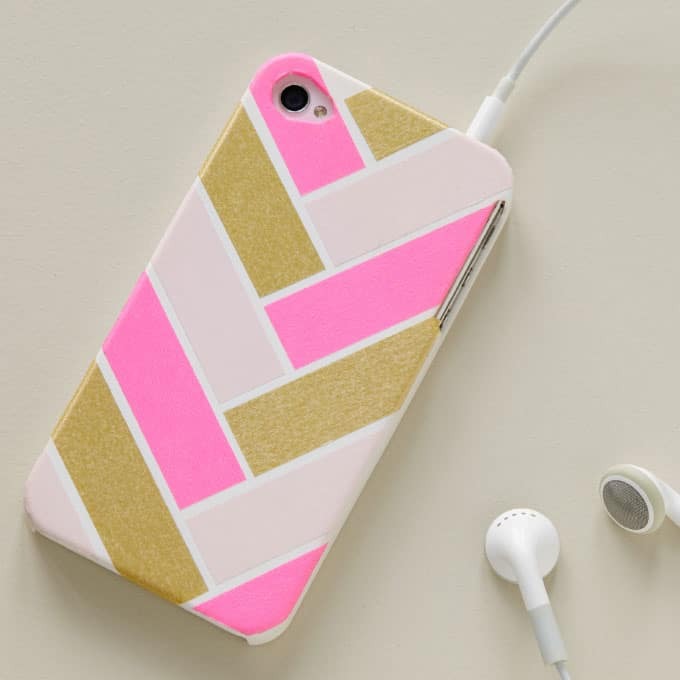 Design a new cover for your phone, and then peel it off when you want to do something different. 25. Upcycle an Altoid tin. 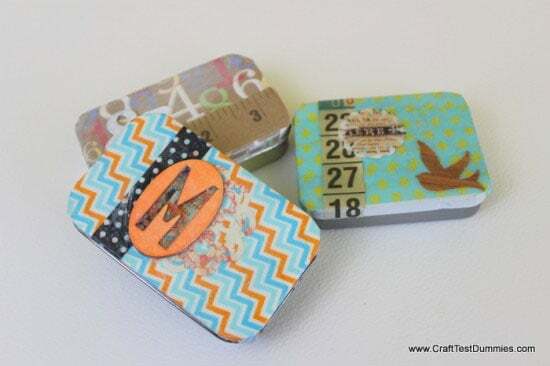 ==> Altoid tin crafts collection! 24. 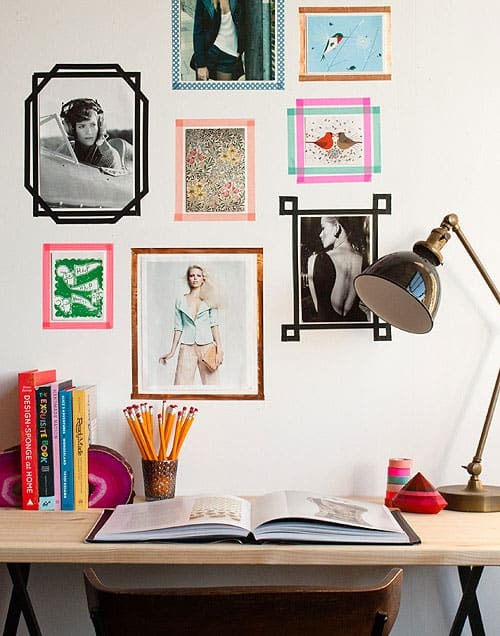 Design your own picture frames. Perfect for rentals! 23. 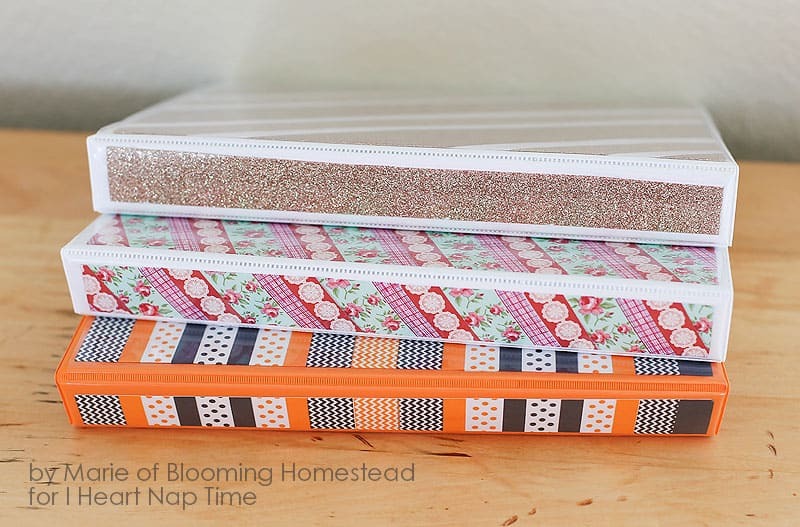 Make cheap binders look stylish. 22. 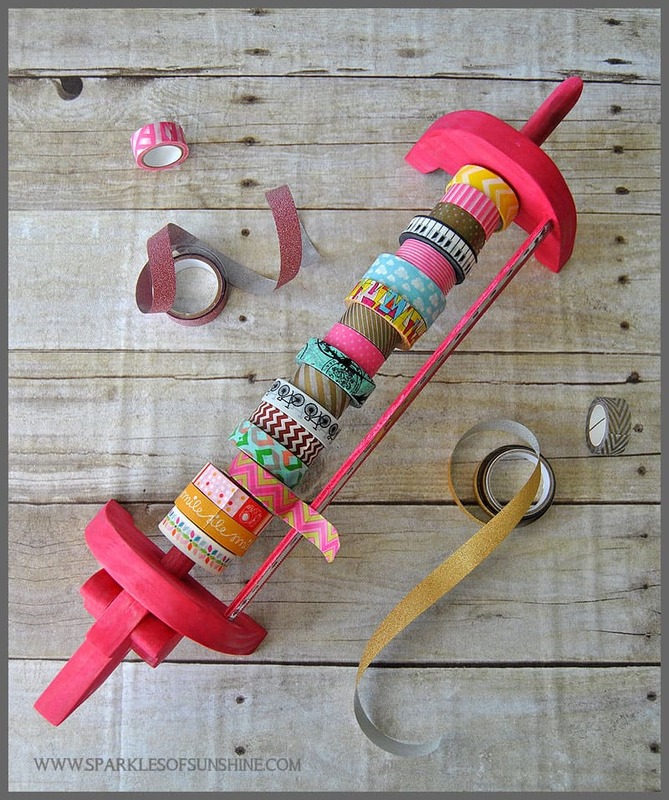 Make a coat tree with Washi tape! 21. 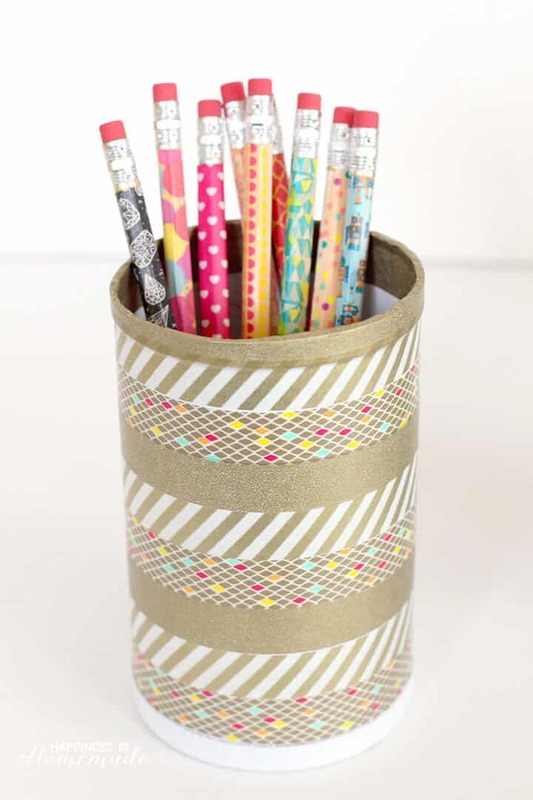 Brighten up a pencil holder. 20. 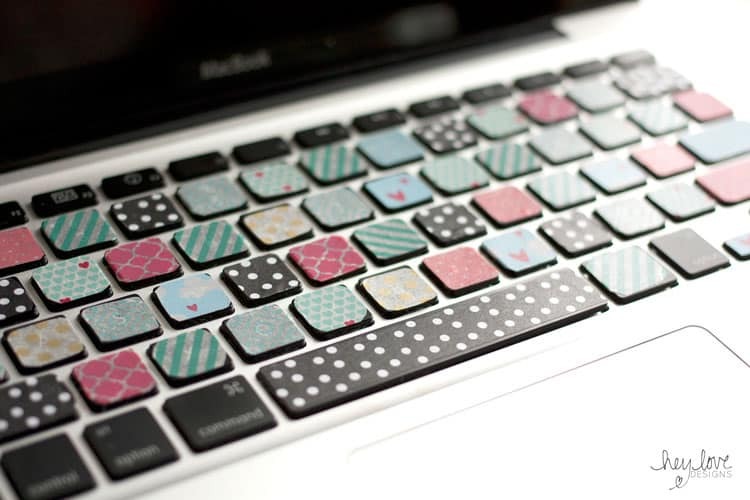 Brighten up your keyboard. 19. 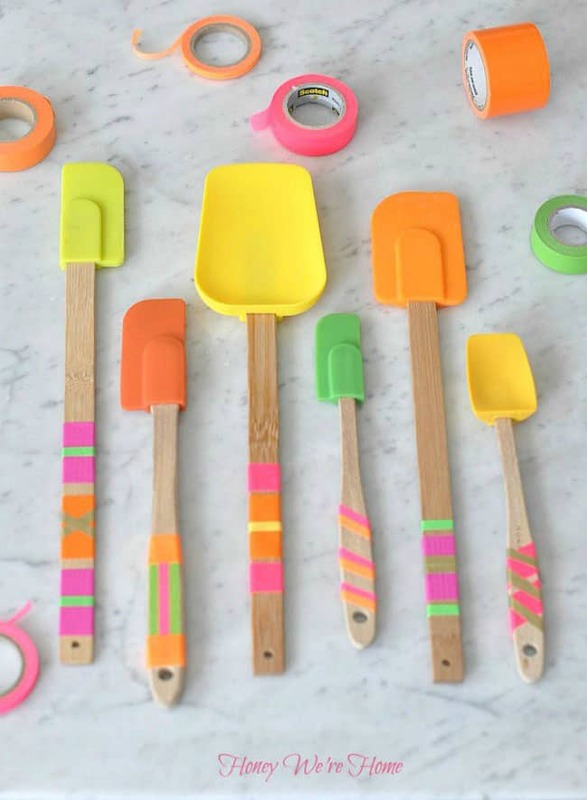 Brighten up your kitchen spatulas, or make some as a housewarming gift! 18. 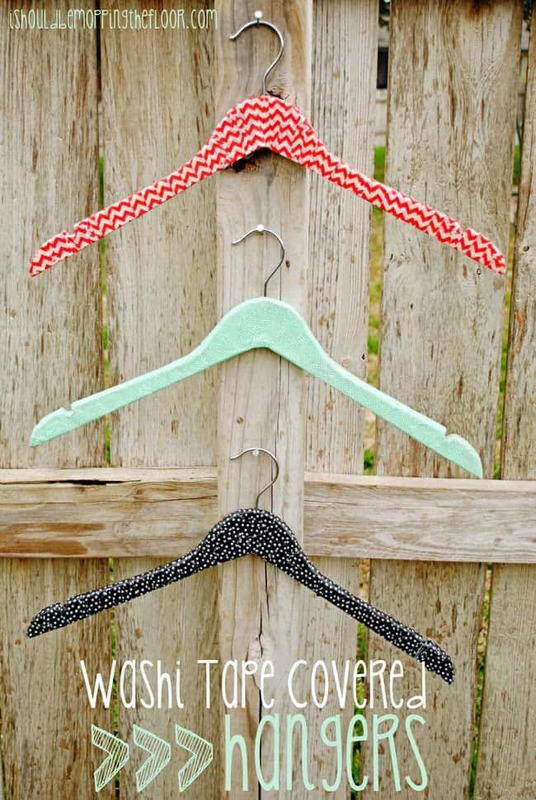 Make your clothes hangers look super expensive! 17. 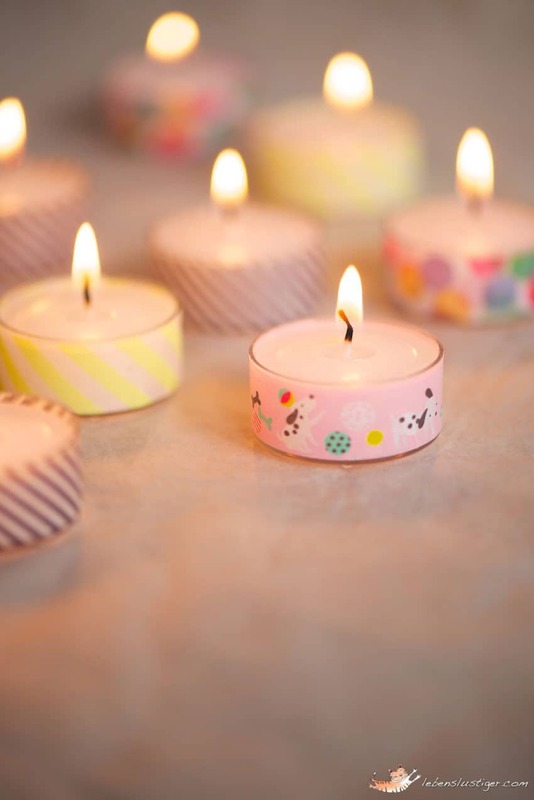 Decorate your tea lights. 16. 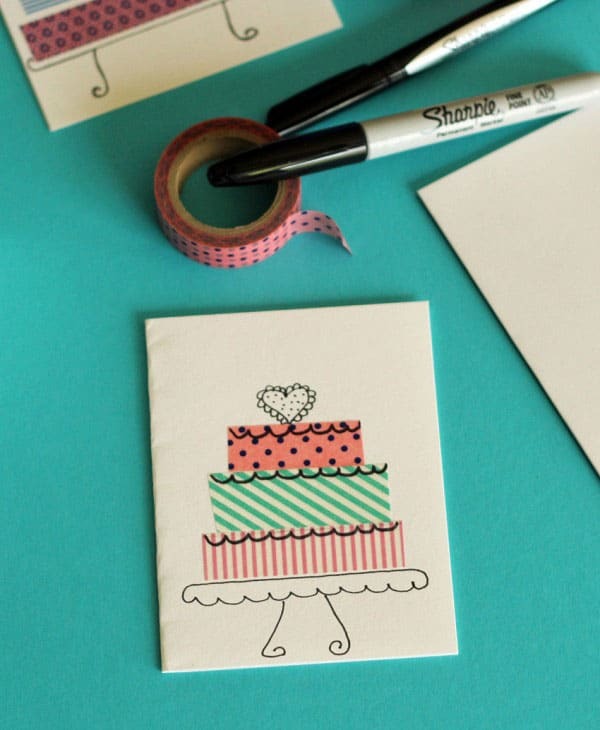 Design unique birthday cards. 15. 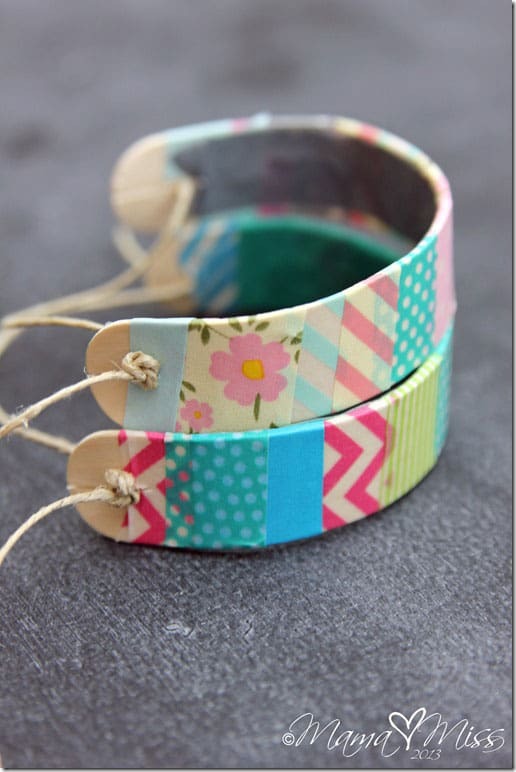 Turn popsicle sticks into gorgeous bracelets. 14. 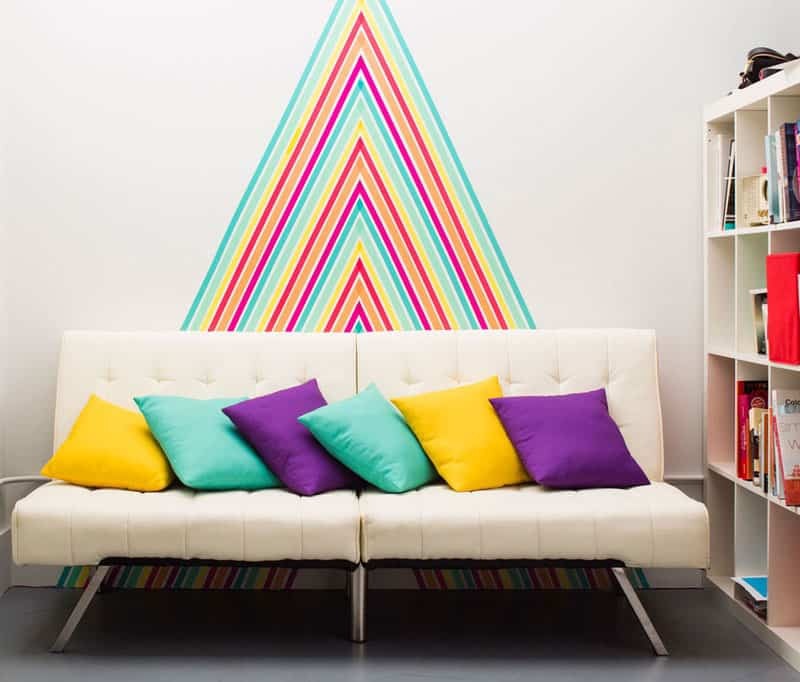 Design your own wallpaper. 13. Brighten up your dressing table. 12. 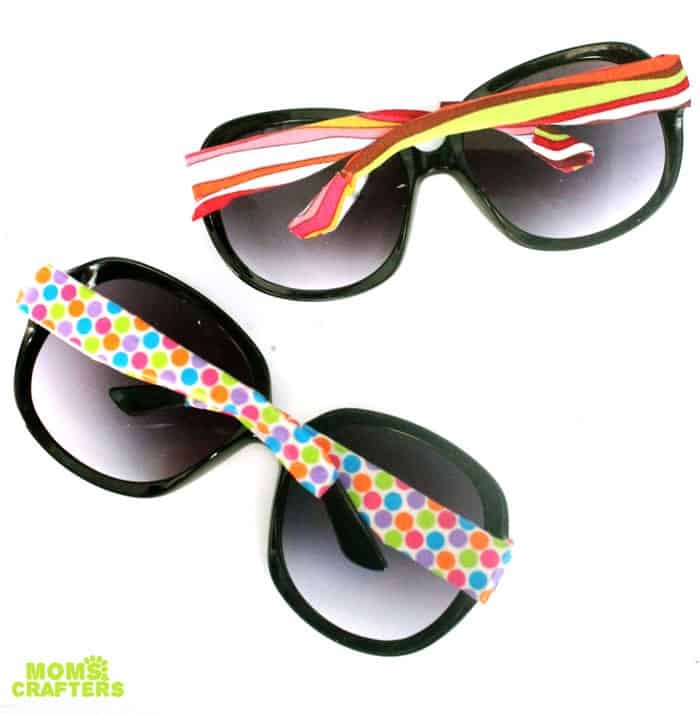 Give your sunglasses a makeover. 11. 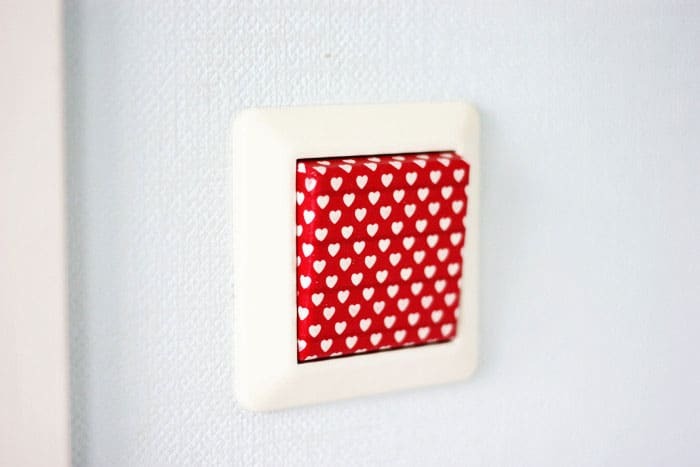 Make your light switches look fabulous. 10. 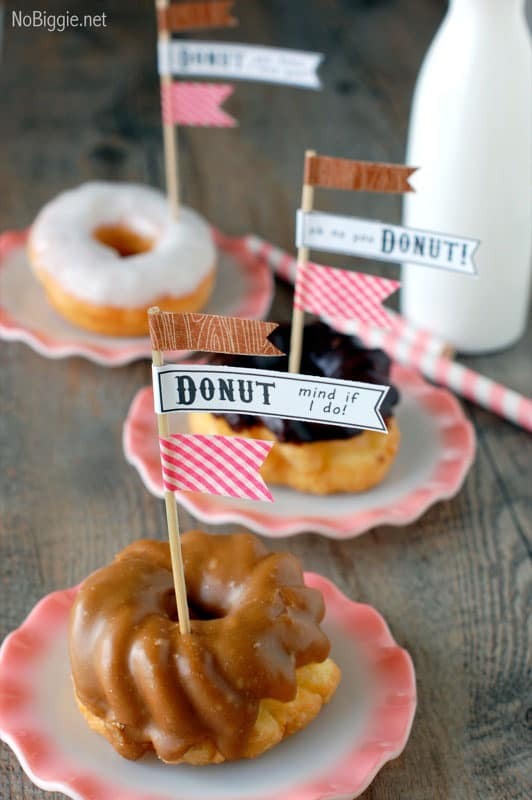 Make some donut party flags for your next party. Need donut recipes for your party? We have loads of recipes that you are going to love in our ==> homemade doughnut recipes collection! 9. 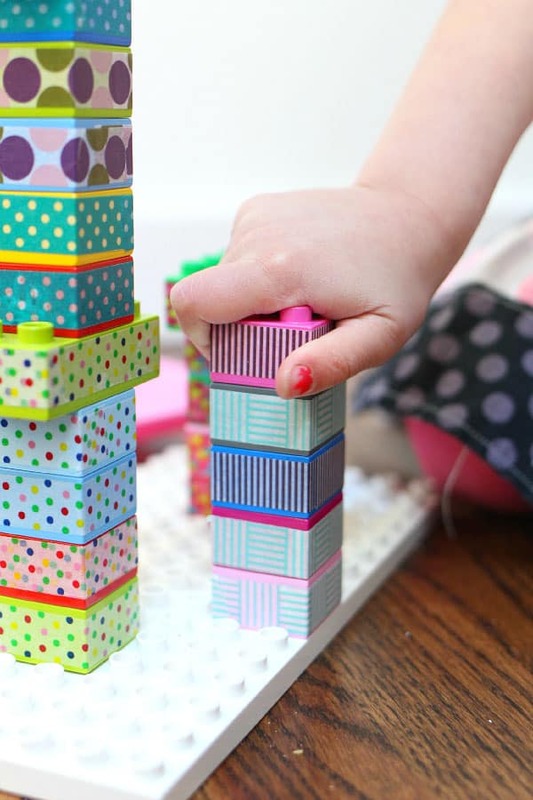 Give those old duple blocks a whole new lease of life! 8. 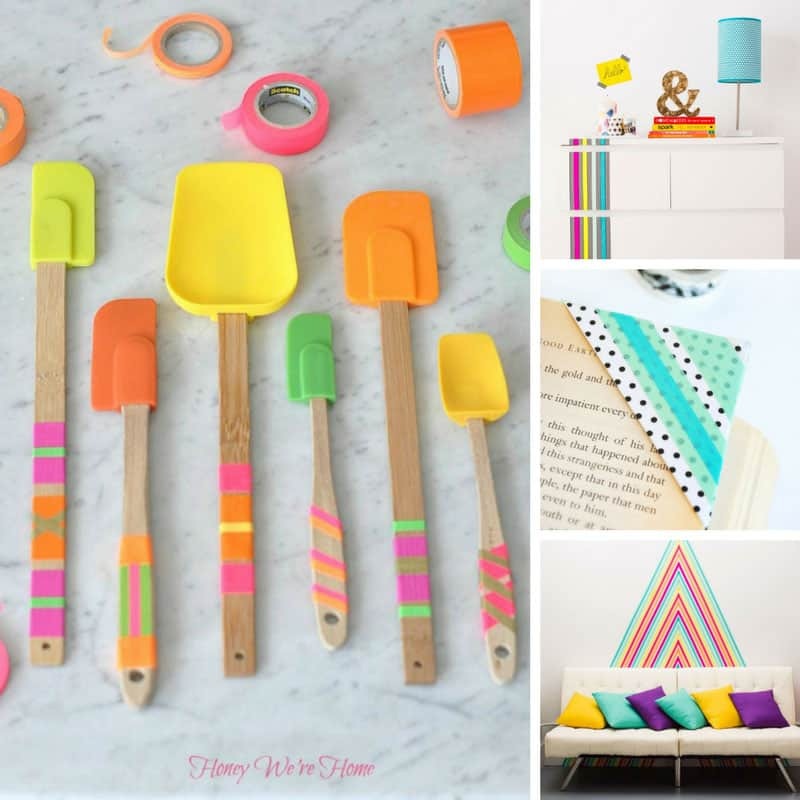 Print your own patterned tapes. 7. 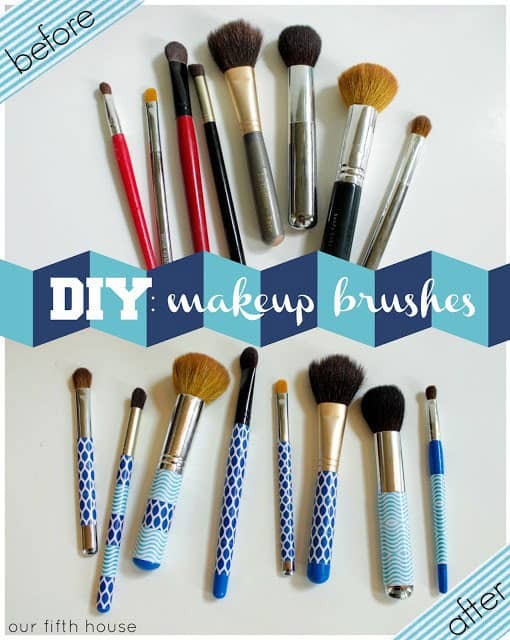 Give your makeup brushes a Washi tape makeover! 6. 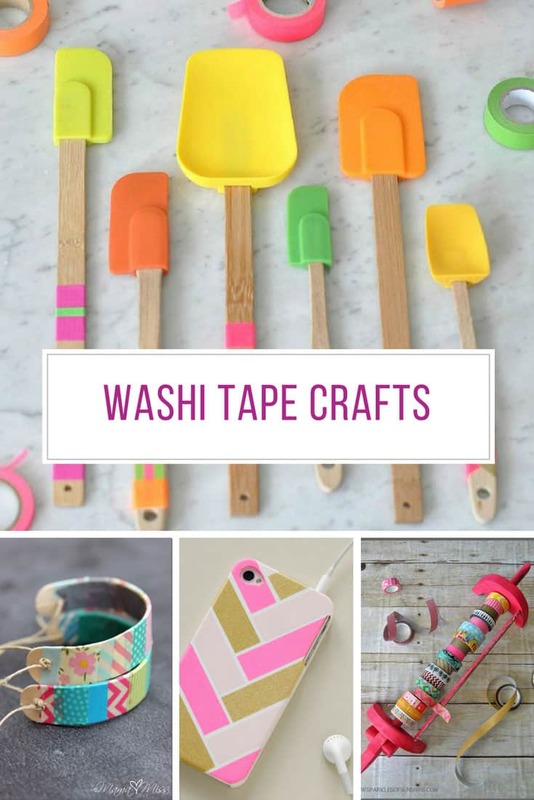 Give yourself a washi tape manicure! 5. 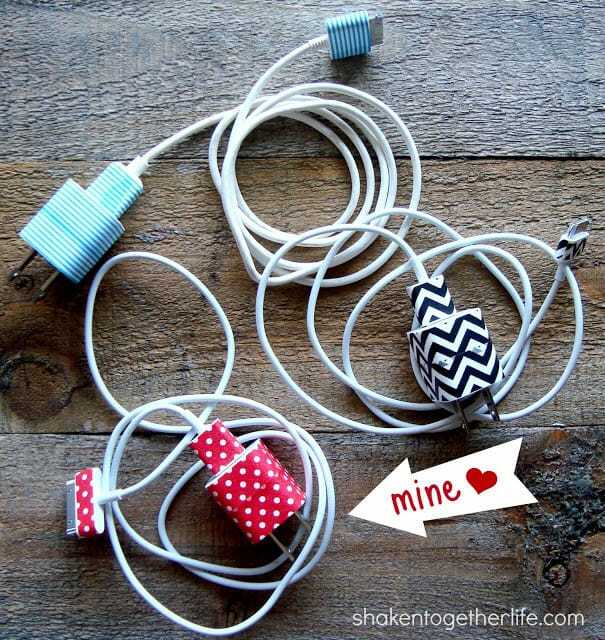 Use Washi tape to keep your phone and tablet cables and chargers organized. 4. 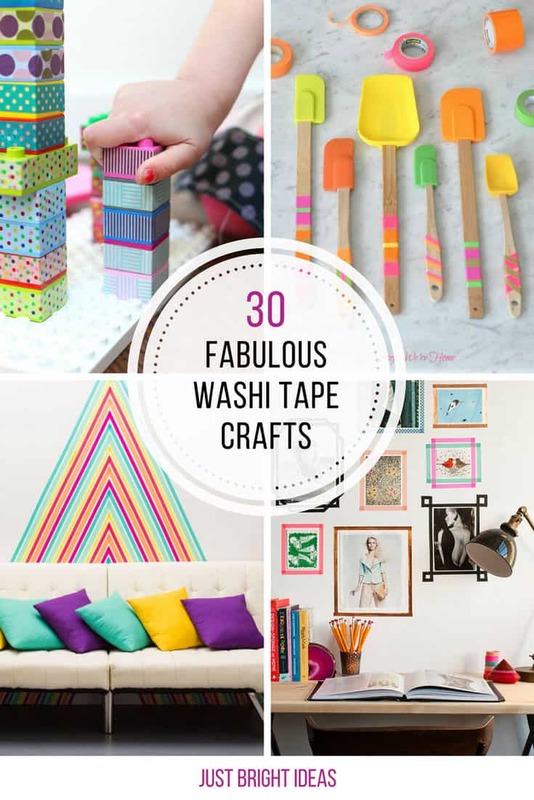 Make an Anthropolgie inspired Washi tape dispenser. 3. 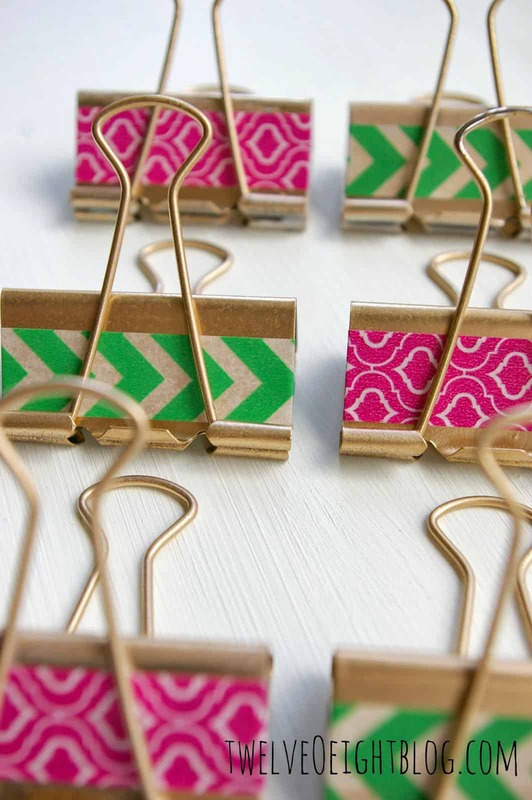 Make Dollar Store binder clips look fabulous! 2. 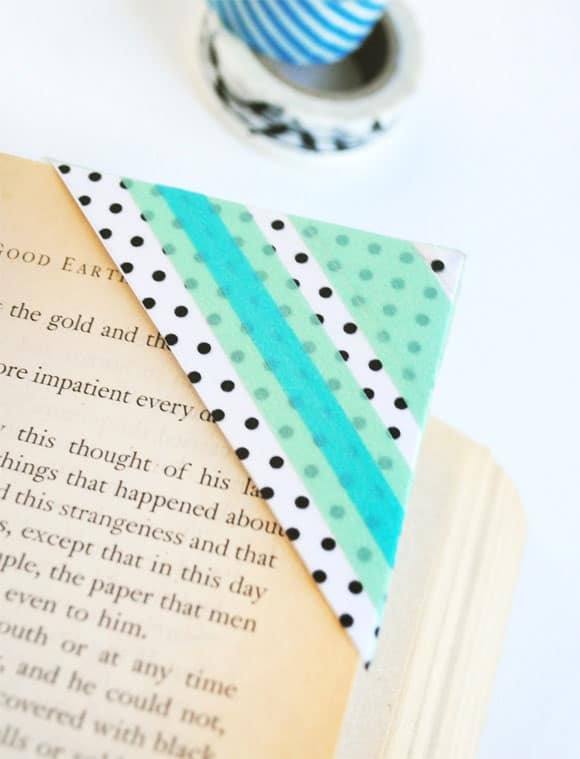 Make a cute corner bookmark. 1. 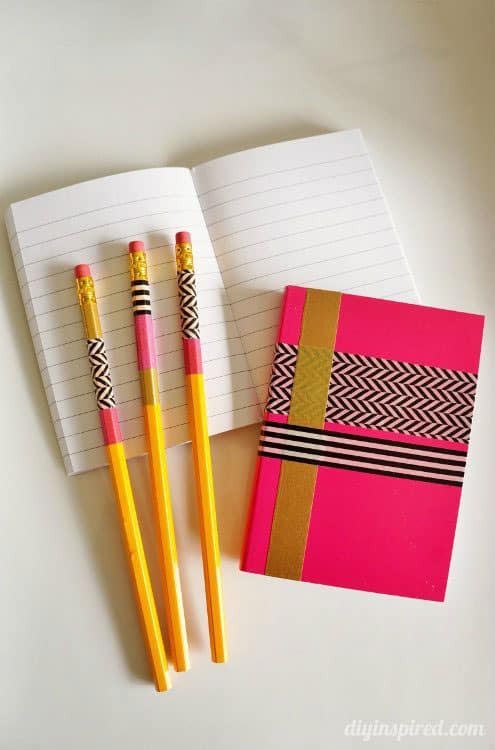 Decorate your notepads and pencils. 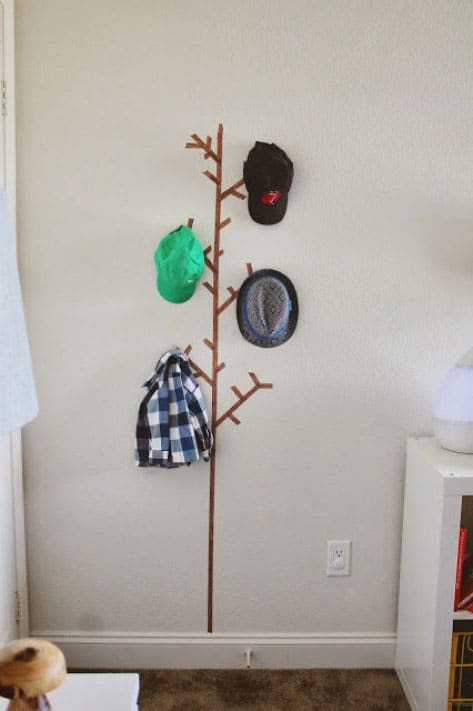 Perfect for kid’s going back to school!